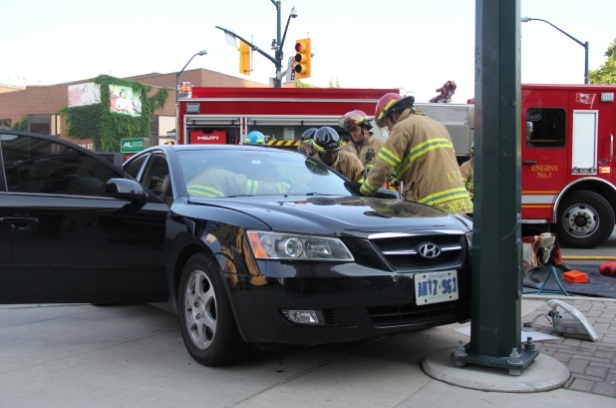 One woman suffered non-life-threatening injuries Monday when the Hyundai Sonata she was driving eastbound on King St. was hit broadside by a Chevy Cobalt that one witness said ran a red light. The Cobalt was traveling south on Ridout, the witness said. Fire fighters and paramedics stabilized and extricated the woman from the vehicle before taking her to hospital. The intersection was closed for a short time. 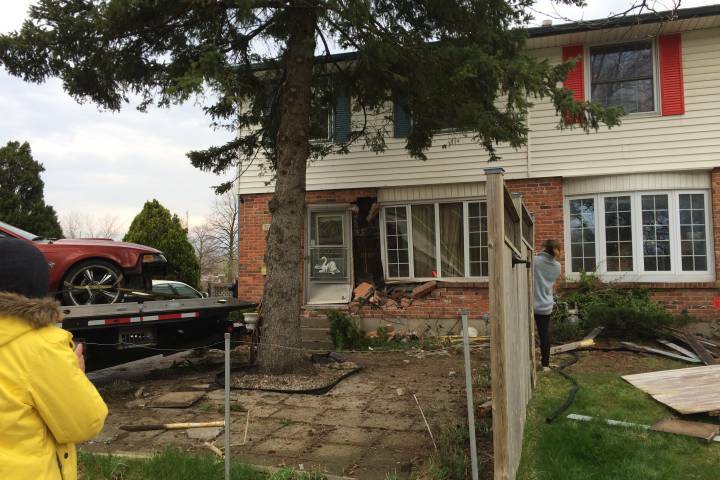 The crash happened about 10 a.m.
via By Scott Taylor of Metro London.